I can’t believe it has been 25 years since Pink Floyd last toured. The album they were promoting at the time was The Division Bell but they were also, in a way, promoting The Dark Side of the Moon by playing that record in its entirety. Many fans felt that the band was over when Roger Waters left, but I thought they were still a force to be reckoned with; minus the behind the scenes drama. Both A Momentary Lapse of Reason and The Division Bell were strong albums, and the tours that followed were nothing short of breath-taking. Visually, this version of Pink Floyd went leaps and bounds ahead of the 1970s version, but I will have to give credit to advancement of technology which made much of this stunning stage show possible. This particular DVD follows the audio version in capturing the Earls Court performance in London. As I mentioned earlier, technology made the stage show more elaborate, so keeping that in mind, there have been advancements since 1994 in filming as well. I can pick apart the video as not being up to today’s standards but the reality is, this was filmed in the best possible way in 1994 and it still holds up to this day. I saw this tour in Chicago at Soldier Field, and this DVD captures the enormity of the stage and production giving you close-up shots of the performers while also shooting footage from the back to allow you to view the stage as a whole. Musically, the band (including quite a few extra musicians) sounds as perfect as you would imagine. David Gilmour’s performance throughout is spot on, and he makes it look so effortless. The set list, as you would expect, had quite a few songs from their recent Waters-less albums with “Sorrow” and “Keep Talking” as standouts. Aside from some of the older hits like “Run Like Hell” and “Wish You Were Here,” they did sneak in a “deep cut” with “Astronomy Domine,” an old Syd Barrett tune from the early Floyd history. I’m sure that many fans will gripe about the song selection, but with well over two hours of music, you really do get a good cross section of old and new. There are a number of extras on this two-DVD set but they pale in comparison to the main feature. There is some bootleg footage in the “Bootlegging the Bootleggers” section that is okay (much of it shaky) and a few production videos. The tour footage is worth a look but most of it is grainy, and I can’t see myself viewing more than once. Billy Corgan also makes an appearance discussing Pink Floyd in front of a crowd, but again it’s a one time view at most. 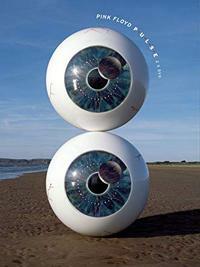 The main concert is what you will enjoy, and I highly recommend any Pink Floyd fan to purchase this DVD set. If you were ever “on the fence” with this version of Pink Floyd, I believe that this captured performance will change your mind.